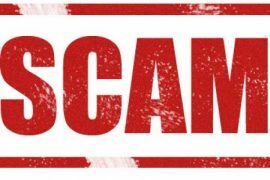 Eleven people have been charged with identity theft and credit card fraud after a Blue Cross Blue Shield of Michigan employee allegedly printed and shared screen shots of more than 5,000 subscriber profiles. Three are accused of using the stolen information to purchase more than $742,000 worth of merchandise at Sam’s Club. According to an indictment announced Tuesday by the U.S. Attorney for the Eastern District, former Blue Cross Blue Shield employee Angela Patton gave the printed profiles to others, who used the information to apply for credit in other people’s names. Individuals arrested in Texas, Ohio and Michigan possessed the screen shots, as well as counterfeit identification cards and credit cards in the names of Blue Cross subscribers, according to a new release. 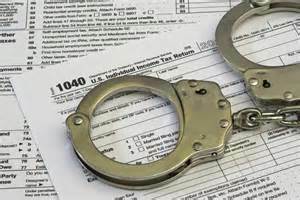 Those indicted include Patton, 47, of Belleville; Sam Patton, 47, of Dearborn; Dontez Patton, 23, of Woodhaven; Johnathon Weston, 24, of Detroit; Charlie Smith, 47, of Detroit; Thomas Turner Sr., 47, of Detroit; Aramona Coleman, 56, of Southfield; Tynekwa Hill, 26, of Pontiac; Jeffrey Morton, 41, of Oak Park; Verdell Kennedy, 45, of Detroit; and Raymond Thomas, 40, of Oak Park. Agents who served search warrants at homes in Metro Detroit recovered additional screen shots containing personal information as well as counterfeit and re-encoded credit cards and gift cards. The information included individuals’ names, dates of birth and Social Security numbers. The breach illustrates consumers’ vulnerability when their personal data is collected and stored, say cybersecurity experts. The suspects allegedly possessed personal information for 5,514 Blue Cross and Blue Care Network members, according to the insurance companies. Corporate investigators also investigated the breach. Affected policy holders will be notified by letter and offered two years of free credit protection services, according to the insurance company’s press release. Members are asked to carefully monitor their Explanation of Benefits statements and financial accounts. If they notice inappropriate activity, members can contact the Anti-Fraud Hotline at 1-800-482-3787 Monday through Friday from 8:30 a.m.-4:30 p.m.
Blue Cross Blue Shield and Blue Care Network have taken steps to protect policy holders’ accounts from a similar breach, according to the company. “We have taken a number of deliberate steps to further secure our members’ information from disclosure, including limiting access to members’ Social Security numbers, requiring all employees to change their passwords, and installing new printing devices that require employees to scan their coded badges to print,” said Kevin Klobucar, CEO for Blue Care Network. 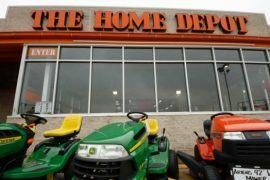 The incident signals to companies that they “need to do a better job of maintaining their information security — seeing where there are opportunities for identity theft to happen,” said Breyault. The investigation follows a probe by Indianapolis-based Anthem Inc., that in February announced it was offering identity theft protection to current and former customers dating back more than a decade after hackers broke into a database storing information for 80 million people. 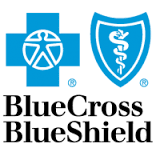 The Blue Cross affiliated insurer said hackers got past several layers of security to reach the database after Dec. 10 and before Jan. 27. Intruders gained access to names, birth dates, email addresses, employment details, Social Security numbers, incomes and street addresses. Investigators determined no medical and credit card information was breached.